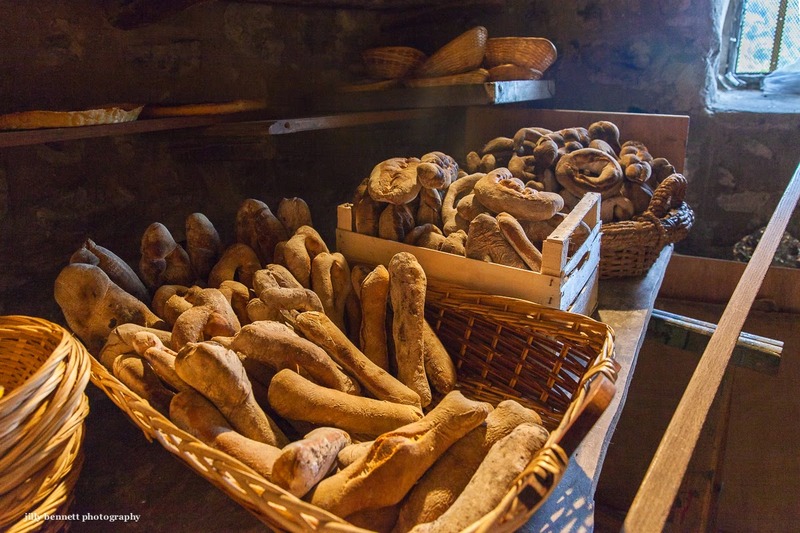 Is there anything as good as home-made bread freshly baked in Gorbio's ancient oven? Y a t-il quelque chose de meilleur que le pain fait maison fraîchement cuit dans l' ancien four de Gorbio? I have been loving all these post! It is so interesting to see the different cultures. Thanks for sharing. After following your blog for many yeas, I hope to get to Menton in person. So excited and would love to meet you for coffee. This is a great event! Do you know the history of the oven itself? Why is there a "village oven"? What does that mean? Be lovely to meet for a coffee, Jojo. And Petrea - so far as I know, all medieval villages had an oven - a communical oven - where the women would take their dishes to be baked. Presumably they didn't have the facilities to cook in their houses. On the other hand this might better explain it! Great! I will keep you posted when I figure out my plans. I've got just 2 days this visit. Your blog has been such an inspiration and I'm thrilled to be able to bring a dream to fruition and bring a few pictures to life. To a French person I don't think any food can match such a treat !